SAILING: Supermaxi Wild Oats XI won its ninth line honours in the Sydney to Hobart ocean race today (Dec 28) to become the most successful yacht in the history of the gruelling competition. Australia’s Wild Oats XI approaches the finish line of the Sydney to Hobart race, taking its ninth line honours in the gruelling competition. 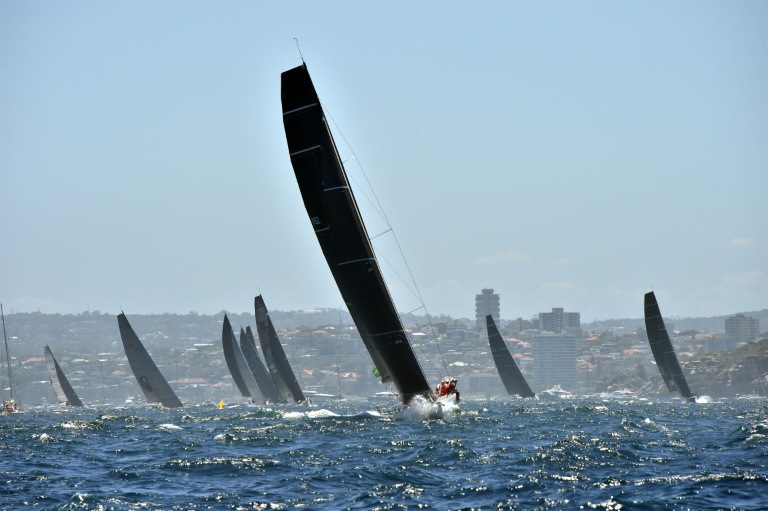 In a thrilling finish to the 628-nautical mile (1,163-kilometre) bluewater classic down Australia’s east coast that saw an unprecedented battle between four supermaxis, the 100-footer crossed the finish line first in Hobart. 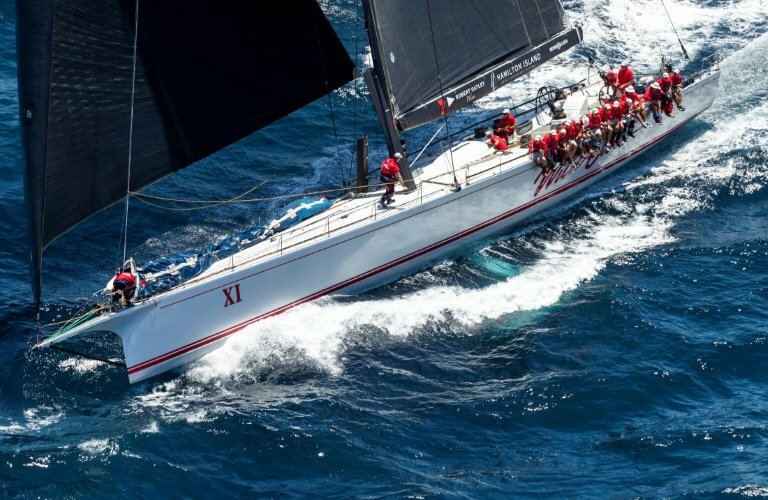 The victory was particularly special for Wild Oats XI skipper Mark Richards and the crew, after being stripped of their win last year when they were handed a one-hour penalty over a near-collision. “Redemption for us, that is for sure. Last year, it was so disappointing,” Richards told reporters after reaching Hobart. Richards marked the win at Constitution Dock with a trademark Australian “shoey” celebration, which involves drinking champagne out of a shoe, before he was thrown into the Derwent River by the crew. The 74th edition of the annual contest was characterised by a neck-and-neck battle between four supermaxis – the biggest and fastest yachts – Wild Oats XI, Comanche, Black Jack, and Infotrack. 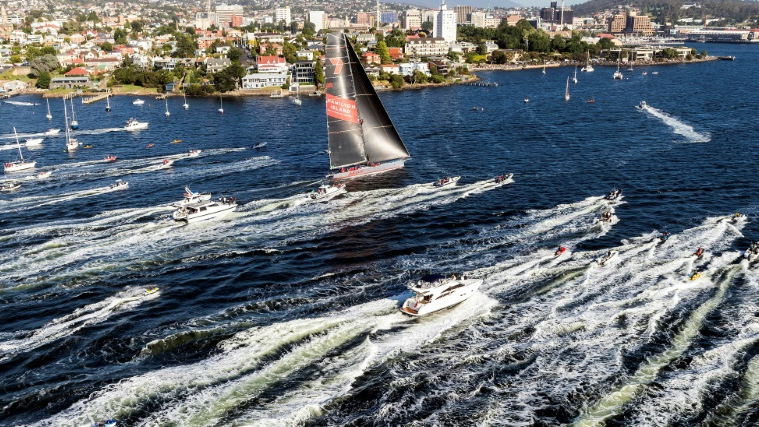 Wild Oats XI and last year’s defending champion Comanche had been taking turns to be in the lead since the fleet of yachts departed a sunny Sydney Harbour on Boxing Day. But after leading the race overnight, Wild Oats XI surged ahead of Comanche early Thursday, choosing to swing east in pursuit of faster winds in what Richards described as a “game-winning manoeuvre”. Black Jack finished second, ahead of Comanche and Infotrack. Richards said he was particularly proud of how 14-year-old Wild Oats XI fared against the quality of the other supermaxis, calling it “the Phar Lap of yachting” in a nod to Australia’s greatest racehorse. The result is a relief for the Oatley family, which owns Wild Oats XI, after the boat had to retire from the 2015 and 2016 races. The vessel’s previous win was in 2014. “This is absolutely fantastic. Words fail me,” owner Sandy Oatley told commercial broadcaster Channel Seven. Lighter winds meant the fleet could not match last year’s record pace of one day, nine hours, 15 minutes and 24 seconds set by Comanche. Wild Oats XI finished with a time of one day, 19 hours, seven minutes and 21 seconds. Attention now turns to the handicap honours – the race to be the vessel that performs best according to size – with 2017 winner TP52 Ichi Ban in the lead. The fleet in the often brutal contest dropped from 85 to 80 during the dash south from Sydney, with Hong Kong supermaxi Scallywag the most prominent retirement with a broken bowsprit. 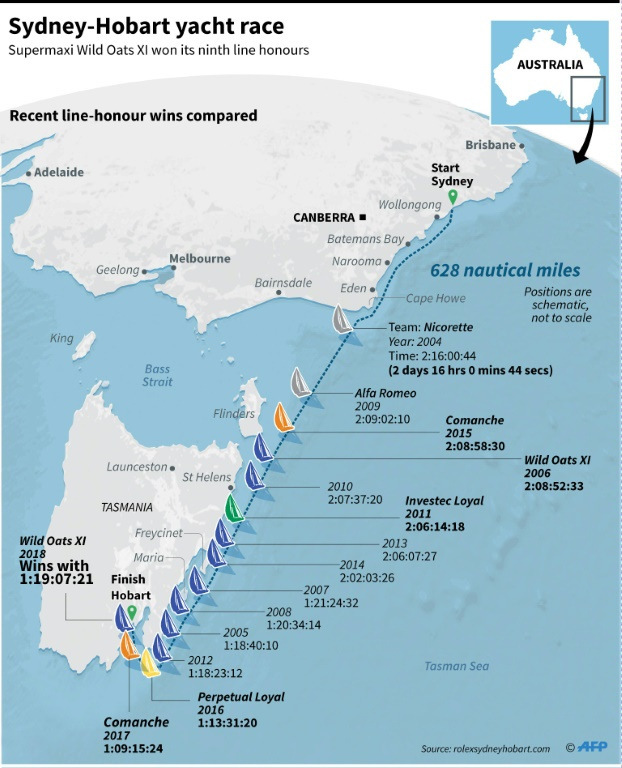 Challenging conditions and storms are not unknown to the race, with six people dying on one night in 1998 when a deep depression exploded over the fleet in the treacherous Bass Strait between the Australian mainland and Tasmania. The fleet marked the 20th anniversary of the tragedy on Thursday with a moment of silence and the reading of a message of commemoration.